Hercules Fence offers a comprehensive security fencing solution that is catered to the needs of your facility in order to provide the best possible protection. The first line of defense against attempts at brute force vehicle entry, crash rated barriers include slide gates, pop-up barriers, lift-arm gates, and all types of bollard systems. Our security fencing professionals install the right protection at the right place to deter and stop brute force entry to the facility. 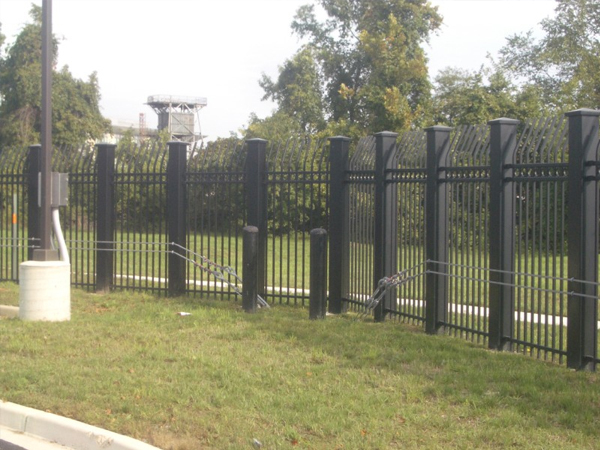 Cable systems are used within fence systems to give them additional strength and protection from brute force or other entry. Our high security fencing team can advise you as to the best use of anti-terrorism cable in your security fencing setup. No matter what your security needs are, we can design a custom high security fencing system in Richmond that fits all of your requirements. For more information about high security fencing in Richmond, contact Hercules Fence of Richmond today. This entry was posted on Friday, November 21st, 2014 at 5:00 pm. Both comments and pings are currently closed.